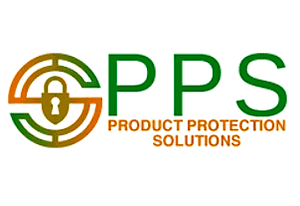 Product Protection Solutions has recently announced the establishment of PPS Technology Group (PPSTG), a new provider for comprehensive loss prevention solutions, including EAS systems, deployment services, packaged software and customer-built or web-based mobile applications. This new division is equipped to handle RFID integration and deployment services along with enhanced technological initiatives. A team of seasoned project managers, installation technicians, and developers are at the core of PPSTG. These individuals are committed to client collaboration and engagement from inception to completion. Through a partnership with Nedap Retail, a global leader in RFID, PPSTG is positioned to provide and install advanced technology loss prevention assets including RF and RFID systems. In addition, the provision of custom-built or pre-packaged software solutions allows PPSTG to build flexible loss prevention programs that deliver comprehensive solutions to solve complex retail challenges. PPSTG aims to bring transparency to all business operations by maintaining open communication with timely responsiveness to drive project success. As a full lifecycle LP service, the cross-functional team combines practical application of technical processes and complex approaches to implement cutting edge systems. The Turnkey™ approach and Keepsafe Advantage™ are designed to set PPSTG apart from the masses. For more information, visit productprotectionsolutions.com.